Chika made sure to put her signature black bow on the detective hat. Chika was happy to switch to the warm weather uniforms, but Kaguya was jealously distracted by how it accentuated one of Chika's best features. Chika turned into an ogre coach to train Miyuki to hit a volleyball. The first lesson was to keep his eyes open when hitting the ball! Chika worried about Kaguya getting kidnapped while walking home in the rain, but the more pressing concern for both Kaguya and Miyuki was how to get the other to offer to share an umbrella. 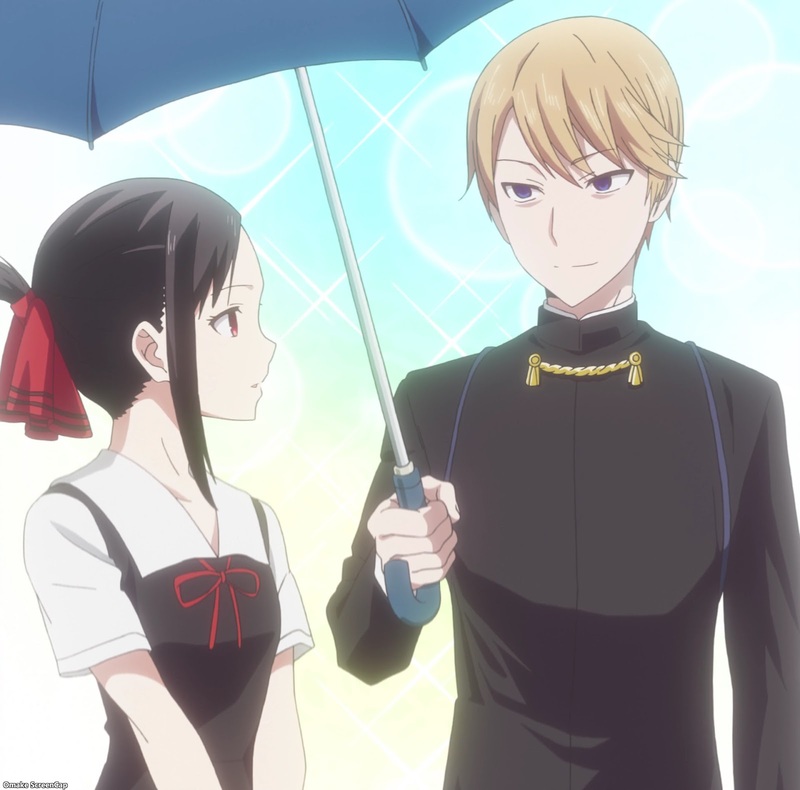 The forgotten umbrella gambit almost worked, except Chika the Spoiler lent Kaguya her extra umbrella. The pair shared an umbrella home in the end, which was all that really matters.